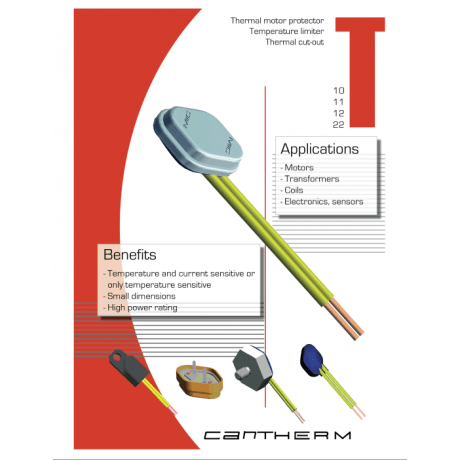 These thermal cutouts operate by means of a thermally sensitive bimetal snap-element which switches a double electrical contact when reaching a pre-set response temperature. They can be normally open or normally closed. The electrical current being switched flows through the bimetal element, which therefore gives a combination of temperature and current – sensitivity. The characteristic curves are measured with a thermal control without any insulation in an oil bath.